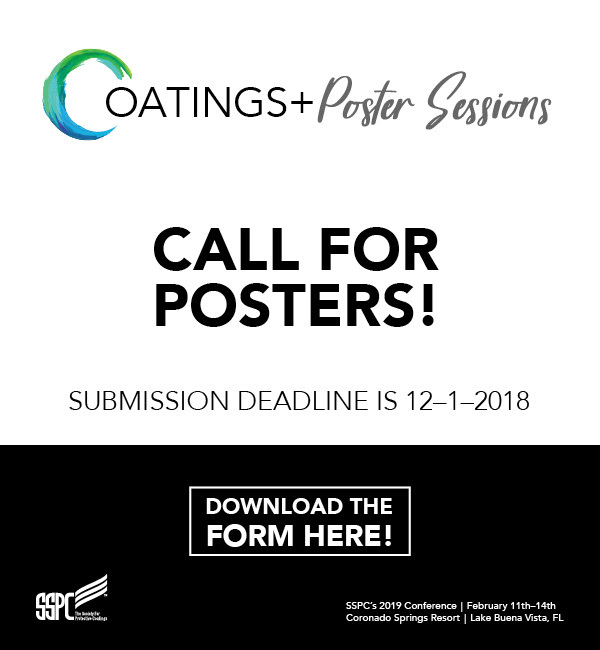 Abstracts are being accepted for the SSPC Coatings+ 2019 Student Poster Session! Are you a student or do you know a student doing research in the coatings industry? Display your innovative research at the Coatings+ 2019 Poster Session! This session will focus on the presentation of research information by an individual or representatives of research teams with an academic or professional purpose. If your poster is accepted, you must be available to attend your poster during arranged time slots to entertain questions from attendees. SSPC is not responsible for receiving or shipping posters or poster materials. The presenter will be responsible for all arrangements to deliver and display their poster. All poster presenters accepted to present will receive a complimentary full conference registration. The AFL-CIO Drum Major for Justice Lifetime Achievement Award is given annually to the national leader who has dedicated their life to advancing civil and workplace rights. This year, IUPAT General President Kenneth E. Rigmaiden was honored with the award. In a sermon delivered nearly 55 years ago, Dr. Martin Luther King Jr. described what he called the “Drum Major Instinct” to the congregation in Atlanta’s Ebenezer Baptist Church. The words he spoke that day were the inspiration for a national service award from the AFL-CIO that recognizes leaders who give their time serving others but seldom seek the spotlight. 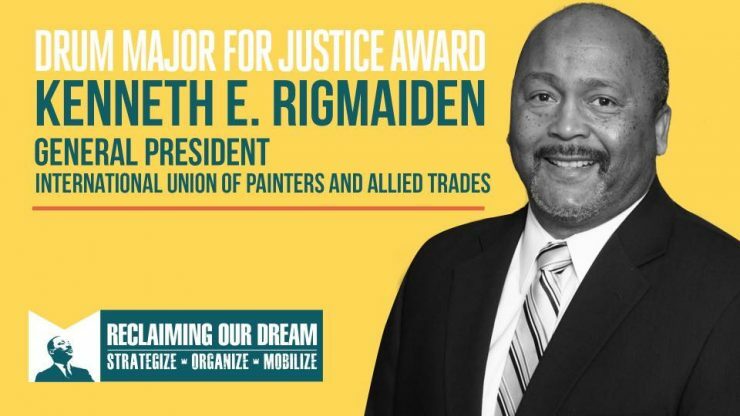 According to the AFL-CIO, Kenneth Rigmaiden answered Dr. King’s call to live a life filled with justice and love and he dared to dream of a better today and tomorrow.